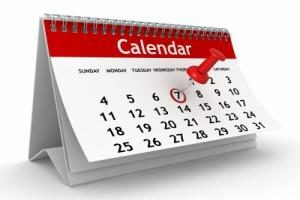 Calendar 2019-2020 | Home Education Partnership of Texas, Inc.
Hurricane or other Inclement Weather Make-up Day(s): We will make up missed days/weeks at the end of each semester. We do not take the Monday Federal Holidays. Please note that many of the classes are finished before Dec. 17. Our 32-week classes start earlier and end later each semester. Make up policy: Each instructor will establish his/her own make-up policy. Unexcused absences may not be made up. Parents are required to notify the teacher when a student is absent. Announcements: All announcements, including emergency information, will be e-mailed through the TeacherEase program and posted in the Announcement section of the TeacherEase program.